ONE weekend: Trip to the dump. Borrow the landscaper's box trailer top top-dress the garden. Quick trip to the mountain bike trails with the family. It's easy to see why dual-cab utes have become Australia's favourite choice in showrooms. Improved ride, handling and infotainment attributes of utes are priming the market. Not only are tradies driving the uptake, but also families. 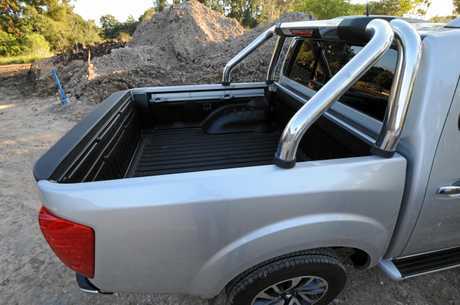 The flexibility and functionality of a ute is impossible to beat. The nation's most popular vehicle over the past two years has been the Toyota HiLux, backed by virtually unrivalled resale value. Last year the Ford Ranger was a close second - boasting strong on-road manners and a more car-like driving experience. Yet the ute we've been driving for the past six months needs more consideration, the Nissan Navara. 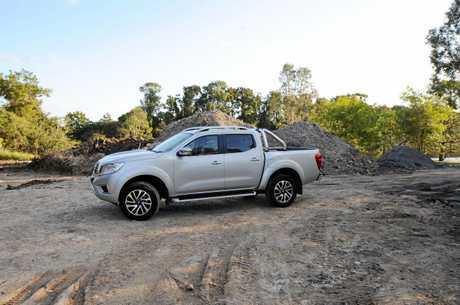 Before the Series 3 update was launched, it was probably fair that the Navara sat in the mix with the Mitsubishi Triton, Isuzu D-Max, Holden Colorado and Mazda BT-50. Now, it's edged ahead with key changes that address some of the vehicle's major shortcomings. Beneath the skin changes offer pivotal improvements over the previous model. Coil-spring five-link rear suspension might sound too technical for most, but it mirrors the underbody set-up of most SUVs. 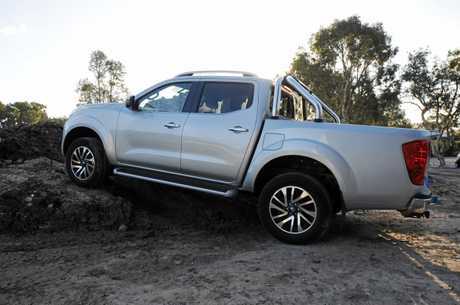 Most other utes have leaf spring suspensions which tend to be firm, and bounce like a trampoline without a load in the rear. A new key difference in the Navara is dual rate springs. Engineers struggle with the balance of being able to tow and handle a load, as well as the ride when unladen. Walking that tightrope is near impossible ... to get impressive performance both with and without a load, but new Navaras only stiffen when weight is on the back. The result is more comfortable all-round performance. Improved cabin ambience has also been achieved with extra sound deadening material. Throughout the time in our driveway, probably the greatest accolade came from the wife. Initially struggling with the size, her appreciation gained momentum. 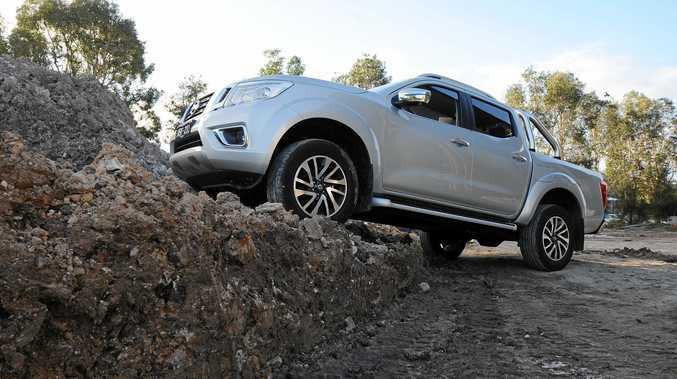 During a back-to-back test with the Mazda BT-50, the Navara was a resounding winner. Lighter and more direct steering, improved powered delivery at low speed from the Nissan 2.3-litre twin turbo diesel as opposed to the 3.2-litre unit saw the bride opt to take the Navara on every occasion. Despite the rate of dual cab take-up around Australia, there is still scepticism surrounding suitability for the daily grind. 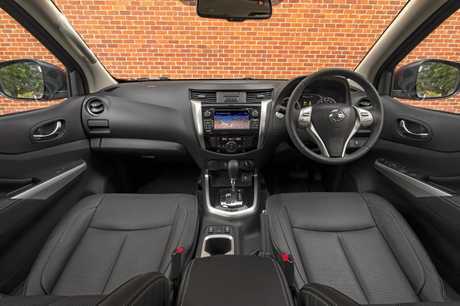 Tested by two growing boys, there is ample space and reasonable rear seat comfort, but the primary trade-off came at school and the weekly grocery shop. Parking in confined spaces can be tough. The rear view camera and parking sensors are vital, while the 360-degree view which pops up in reverse is outstanding for ensuring you're within the lines. Navigating around the tight roundabout near our school pick-up zone required some elbow grease, and while the Navara has a tighter turning circle than most utes, it's still a handful. The groceries also requires some arm work, lifting over the top of the tub to place bags. It's worth investing in a soft tonneau (options with elastic straps offer more flexibility but look uglier) and some tubs to contain the shopping bags, otherwise you have to load the back seat and floor. One annoyance for parents is the child seat top tether located behind the rear pew. It's fiddly and difficult to access - once in place it's fine, but those who regularly swap kids' seats around will find it frustrating. Another area we'd like to see improvement is infotainment. Nissan Australia is working on introducing Apple CarPlay and Android Auto into its range, and it would provide a major boost to the touch-screen functionality. Cloth seats are standard in the ST-X , but we'd advocate the $1500 leather option for ease of cleanliness. The latest models will also come with a digital speedometer function, which is becoming vital given the constant camera and policing presence. Can a family live with a dual-cab ute? Absolutely. Are they perfect? Not quite ... but then no vehicle can tick all the boxes. Our experience proved that it's on the wish-list, loving the flexibility of being able to throw bikes and gear in the back for a family getaway, a quick trip to the dump rid the yard of palm fronds or pick up something bulky. The Navara is a fine option for those wanting to combine work and play, but the series three is the pick of the current range.